4540 Sawmill Dr E, Estero, FL.| MLS# 217047447 | Southwest Florida Residential Real Estate for Sale. Priced at land value. Riverwoods Plantation is a 55+ community offering activities galore. Full time activity director, staff and volunteers organized very active social life. Tennis, volleyball, bocce courts, pickle ball, horseshoes, wooded park, bicycle path and much more for great fun and enjoyment. Boat ramp on Estero river with direct access to gulf and boat storage. Parks and wooded areas, bicycle path and much more. Unit has new wood and tile flooring. 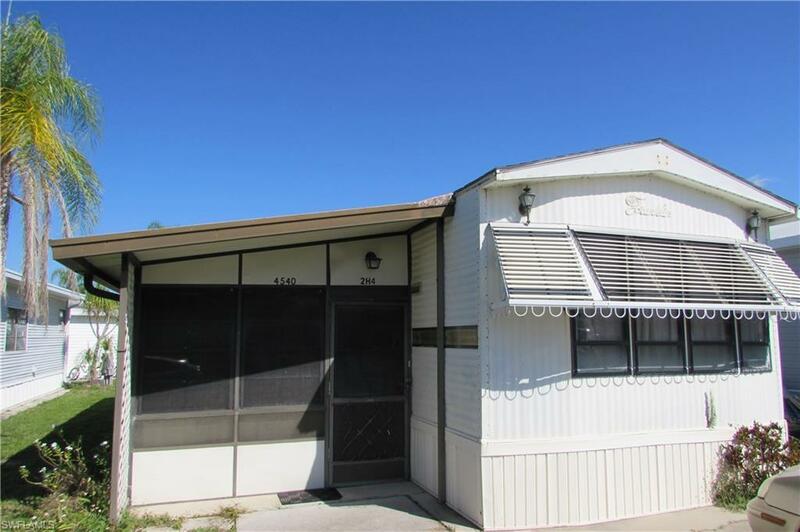 1 bedroom, 1 bathroom, covered screened-in lanai, storage/workshop room, propane stove.